Lawyers and philosophers have long debated whether law should enforce social morality. 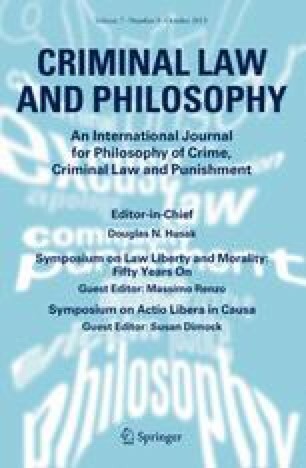 This paper explores whether law should improve social morality. It explains how this might be possible, and what sort of obstacles, factual and moral, there are to doing so. It concludes with an example: our law should attempt to improve our social morality of sexual conduct. An earlier version was presented at the Robina Institute of Criminal Law and Criminal Justice at the University of Minnesota Law School. For comments I thank Michelle Dempsey, Antony Duff, Massimo Renzo, and especially Donald Dripps, whose question provoked me to write this paper.